The threat of mass defection by APC aspirants over the high cost of nomination forms has yielded positive result as the party has considered a downward review of the nomination fees. 2. 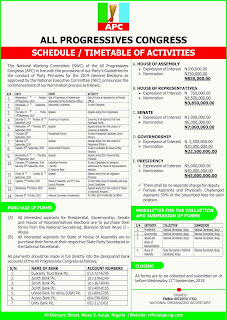 House of Reps: 3.5 Million Naira. 4. 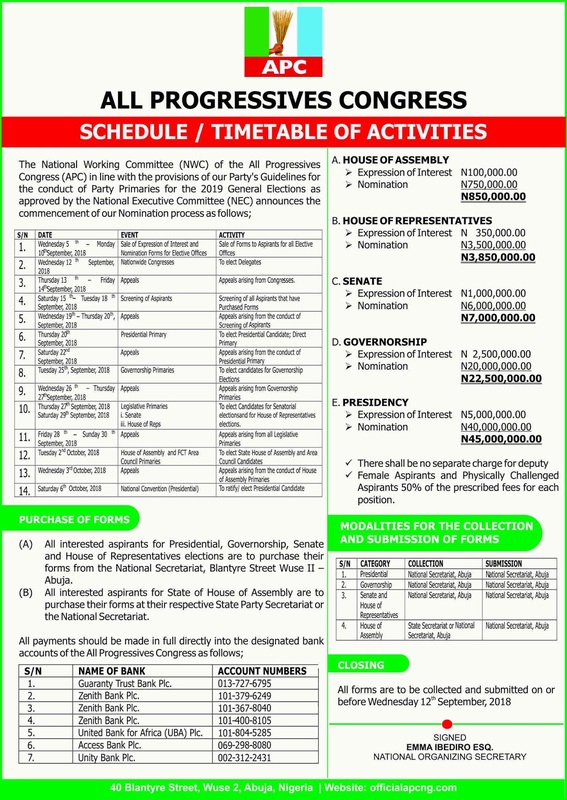 Governorship: 20 Million Naira. 5: President: 40 Million Naira. The Party has also announced the commencement of nomination process and timetable of activities for the conduct of party primaries for the 2019 Election through its twitter account.